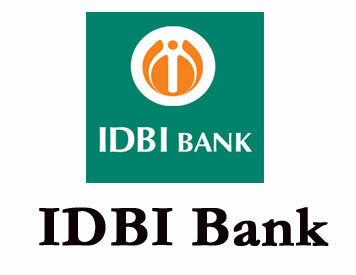 (Notification) IDBI Bank : Chartered Accountants Post Recruitment-2019 | BANK EXAM PORTAL : IBPS, SBI, PO, Clerk, IPPB, Bank Jobs Aspirants Community. with first class in any stream (preferably Commerce) from a recognized University and Chartered Accountant (CA). accounting closing process, verification of capital computation and development of Internal Team. for IndAS implementation; Preparing the financial statements as per IndAs. complying with observations from Rating agencies; Assisting in raising of Capital; Liasioning with various departments like RBI, SEBI, Exchanges, DFs etc. 5) Preparation and supervision of Branch profitability data for quarterly basis; Analyzing and presenting Data to Management for Review of performance. with first class in any stream (preferably Commerce) from a recognized University and Chartered Accountant(CA). Post Graduation in any field is desirable. 12 years of experience as an officer handling taxation matters in large corporate/ Banks or FI(s) with an annual turnover of Rs.1000 crore and above (as per latest Balance sheet). process of computation of all taxes and preparation of all returns, verifying the correctness thereof and ensuring filing of the same before due dates. 3) Handling of all matters related to correspondence, Assessment Proceedings, Appeals, representing Bank, liaising, overall supervision and compliance etc. matters including all types of notices. 5) Preparation of SFT data and filing returns. Court and CIT (A) to top management. 7) Compiling Tax audit information and coordinating with Tax auditors. Co-ordination with statutory Auditors, RBI inspectors. 2) Balance Sheet Management Profile : Preparation of Quarterly segmental reporting, RBS data, Branch/ product profitability reports, maintenance of FTP system, IndAS implementation, Review and forming policies papers, Preparing the financial statements as per IndAS; Handling of Branch and zonal queries for branch profitability. 3) Budget & Planning Profile: Preparing detailed medium term budget based on inputs from verticals, zones and financial information available, allocation of budget to verticals / zones / branches, Review of budget every six months and variance analysis, Handling correspondence with ministry of finance, RBS data points and planning for raising of capital and related activities. Presenting data for monthly performance reviews. years of experience as an officer handling Direct taxation matters in large corporate / Banks or FI(s) with an annual turnover of Rs.1000 crore and above (as per latest Balance sheet). Indirect Tax Profile : Minimum 7 years of experience as an officer handling Indirect taxation matters in large corporate / Banks or FI(s) with an annual turnover of Rs.1000 crore and above (as per latest Balance sheet), Should have experience in implementing / handled GST. and filing same before due date, assisting in Assessment proceedings, Compilation of Tax audit information. Calculation of Advance Tax and remittance of the same, Calculation of provision for Tax including deferred tax, TDS reconciliation with Form 26 AS, compliance with provisions of Income tax act, Guidance to branches on tax matters and assist in preparation of information called by Tax Authorities. returns, Coordinating with various departments for implementing / reviewing GST ; Data validations and reconciliation with TB, Input /output tax Credit determination, Filing of various GST returns in time Reviewing GST implementation and preparing policy etc, Assisting and guiding Branches in resolving GST queries Replying to various notices / queries received from GST authorities, Preparation and assisting in completion of Annual GST Audit, Service Tax related matters / Queries. officer in Commercial Banks/ FI (s) with an annual turnover of Rs.1000 crore and above (as per latest Balance sheet) and experience in preparing financial statements, supervision and control of accounts, Financial accounting closing, IndAS implementation, etc. experience in handling Direct and Indirect Tax matters. Experience in implementing/ handled GST. consolidated financials, Risk based supervision (RBS) data, RBI Returns and assisting in IndAS conversion exercise, Monitoring freeze / unfreeze activities, Suspense Account monitoring, control on office accounts, Analysis of financial statements. Co-ordination with statutory Auditors, RBI inspectors. 2) Balance Sheet Management Profile: Preparation of Quarterly segmental reporting, RBS data, Branch/ product profitability reports, maintenance of FTP system, IndAS implementation, Review & forming policies papers, Preparing the financial statements as per IndAS; Handling of Branch & zonal queries for branch profitability. zones/branches, Review of budget every 6 months & variance analysis, Handling correspondence with MoF, RBS data points & planning for raising of capital. Presenting data for monthly performance reviews. proceedings, Compilation of Tax audit information. Calculation of Advance Tax & remittance of the same, Calculation of provision for Tax including deferred tax, TDS reconciliation with Form 26AS, compliance with provisions of IT act, Guidance to branches on tax matters & assist in preparation of information called by Tax Authorities. determination, Filing of various GST returns in time Reviewing GST implementation and preparing policy etc, Assisting and guiding Branches in resolving GST queries Replying to various notices / queries received from GST authorities, Preparation and assisting in completion of Annual GST Audit, Service Tax related matters / Queries. with first class in any discipline from a recognized University and CA. Expected Specialization: Direct Dealings in Financial Products & Markets/ Treasury or Trade Finance Operations in Forex functions. 2)Identification of Key Risk Indicators (KRI), Conducting Risk and Control Self-Assessment (RCSA) exercise, Implementation and mapping of Basel-III compliance, review of risk systems and procedures. Rate Risk and Liquidity Risk, Periodic monitoring and preperation of discussion and policy papers for ALCO. in any discipline from a recognized University and CA. Desirable to have Certification in Credit program from NIBM, IIBF, Moody's, IIBM, NISM, KPMH etc. Processing / Appraisal of Corporate Credit / Credit Syndication at Corporate / Head Office level of Public Sector Banks / Private Sector Banks / Financial Institutions. portfolio of the Bank through new client acquisition and credit accretion business as a means of deepening relationships with existing clients, in terms of extant credit policy of the Bank. processing of the proposals as per TAT to ensure better time to market. To explore cross selling opportunities. 4) To closely oversee credit monitoring and management of stressed assets in MCG portfolio. Responsible for ensuring the portfolio quality and delinquencies, containment of NPAs and regular evaluation of pricing offered to customers on various products, putting checks and balances in place. Transaction charges for Online Payment of application fees/ intimation charges will have to be borne by the candidate. Candidates should ensure their eligibility before paying the fees/ applying online. In the scale of 33600-1100(9)-43500-1300(8)-53900 (18 years) [Pre Revised] Total pre-revised emoluments for Grade D at Metro centres is approx. Rs.1.30 Lakh p.m.
6.01 The selection process for all Grades viz ‘B’, ‘C’, and ‘D’ will comprise of preliminary screening based on the eligibility criteria, candidate's qualifications, suitability/experience, etc. submitted online. Only such candidates will be called for Group Discussion (GD) and/ or Personnel Interview (PI). 6.02 Depending upon the number of vacancies and number of suitable candidates, Bank reserves the right to pre-screen and shortlist requisite number of prima-facie eligible candidates for Grades ‘B’, ‘C’, and ‘D’. The candidature, after preliminary screening and without verification of documents, will be provisional for all grades and will be subject to verification of all details/ documents with the originals when a candidate reports for GD/PI (if called). 6.03 Preliminary screening and shortlisting will be based on the candidate’s online submission of his/her academic track record, experience and the suitability of the candidate as decided by the Bank. Only such shortlisted candidates will be called for GD &/or PI. Candidates not clearing the GD/PI will not be considered for subsequent process of selection. Subject to the vacancies available under the respective category, only those candidates who clear GD/PI and are sufficiently high in the merit list will be shortlisted for further selection. 6.04 The center & address of the venue, time and date of GD/PI will be informed to the shortlisted candidates through call letter and candidates have to attend the same at their own cost. Request for change of center will not be entertained. However, the Bank reserves its right to change/ add/ cancel the date, time, center, venue for the GD and/ or PI or hold supplementary selection process on particular date/ session/ venue/ center for set of candidates at its discretion, under unforeseen circumstances, if any. The changes, if any, shall be intimated to the candidates through Bank's website and candidate’s registered e-mail in advance. 6.05 Selection will be on the basis of marks secured by the candidate in PI, on clearing the GD, if any. Total marks allotted for PI is 100. The minimum qualifying marks for PI would be 50 for General/EWS Category and 45 for SC/ST/OBC/PWD Category. Bank may change the mode of selection depending upon the number of suitable candidates. The final score should be sufficiently high in the merit list for the candidate to be shortlisted for subsequent process. 6.06 The final selection of candidate is subject to qualification in GD/PI, being sufficiently high in the merit list, being declared medically fit as per the Bank’s fitness of standards and fulfilling the stipulated eligibility criteria as on the cut-off date. 6.07 In case, more than one candidate scores the cut off marks (common mark at cut off point), such candidates will be ranked according to their age in descending order. 6.08 Mere eligibility, admission/qualification in GD/PI does not imply that the Bank is satisfied beyond doubt about the candidate's eligibility and it shall not vest any right in a candidate for selection. The Bank would be free to reject the candidature of any candidate at any stage of recruitment process, if he/she is found to be ineligible and/or furnished incorrect or false information/ certificates/ documents or has suppressed any material facts and the fees paid by the ineligible candidates shall be forfeited. If appointed, such a candidate may be summarily removed from the services of the Bank. Important: The GD/PI for Grades ‘B’, ‘C’, and ‘D’ will be held at the Bank’s Corporate Office in Mumbai. While appearing for GD/PI, if called, the candidate should produce valid prescribed documents given below. In the absence of documents, candidature of the candidates shall be cancelled. Bank takes no responsibility to receive/ collect any certificate/remittance/ document sent separately. 1. Candidates are required to apply Online through official website. (Careers/ Current Openings). No other means/ mode of application will be accepted. 3. Use of special characters while filling the form will not be allowed. In case the candidate is unable to fill in the application form in one go, he/ she can save the data already entered. When the data is saved, a provisional registration number and password will be generated by the system and displayed on the screen. Candidate should note down the Provisional registration number and password. An Email & SMS indicating the Provisional Registration number and Password will also be sent. They can reopen the saved data using Provisional registration number and password and edit the particulars, if needed. This facility will be available for three times only. Once the application is filled in completely, candidate should submit the data. At the time of GD/PI, the original call letter along with a photocopy of the candidate’s photo identity (bearing the same name as it appears on the call letter) such as PAN Card/Passport/ Driving License/ Voter’s Card/ Bank Passbook with photograph/ Photo identity proof issued by a Gazzetted Officer/ People’s Representative along with a photograph / Identity Card issued by a recognized college/ university/ Aadhar card with a photograph/ Employee ID should be submitted to the invigilator for verification. The candidate’s identity will be verified with respect to his/her details on the call letter, in the Attendance List and requisite documents submitted. If identity of the candidate is in doubt the candidate may not be allowed to appear for the GD/ PI. Ration Card will not be accepted as valid id proof for this recruitment project/process.